This bundle contains a 11in x 14in canvas along with 2 sharpie paint pens, (purple, pink, red and blue), a 3 pack mini mister and a 5 pack of PearlLuster embossing powders (blue, gold, red, gree, and white). 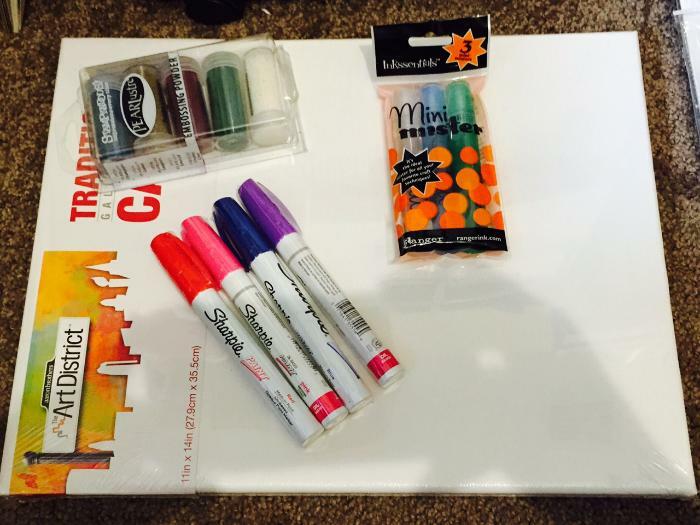 All items are new, unopened and ready for you to start your art journey right away. Please let me know if you have any questions. Happy Bidding!